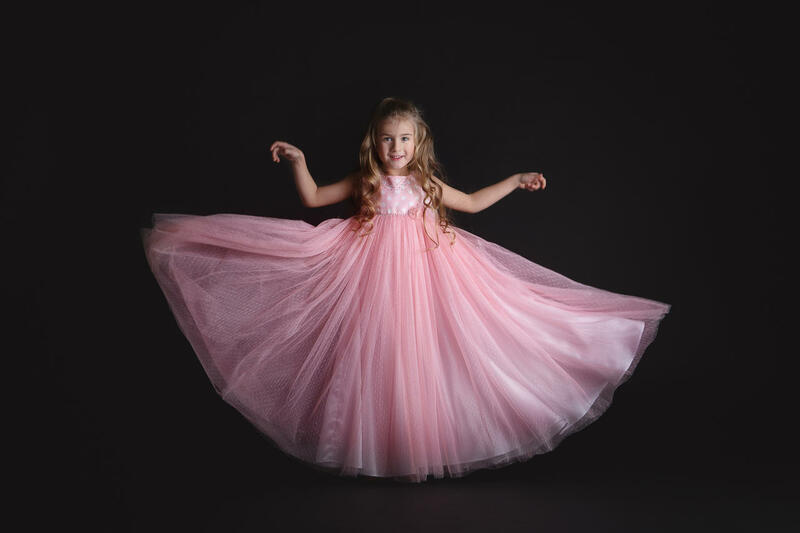 If Pink Robin is meant for girls who wish to run and jump, its older sister Pink Robinette makes one float like a pink butterfly through pink mist in warm summer sunrise. 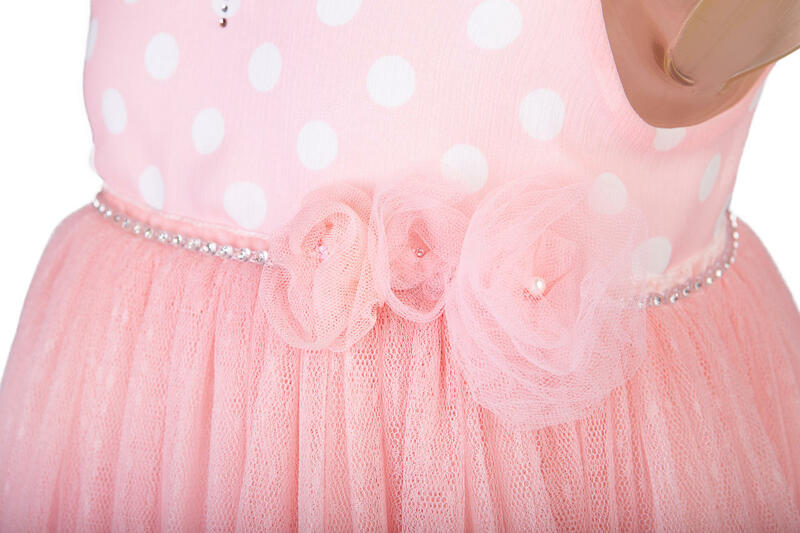 So soft and flowy it makes one feel like dancing ballet on a cloud! 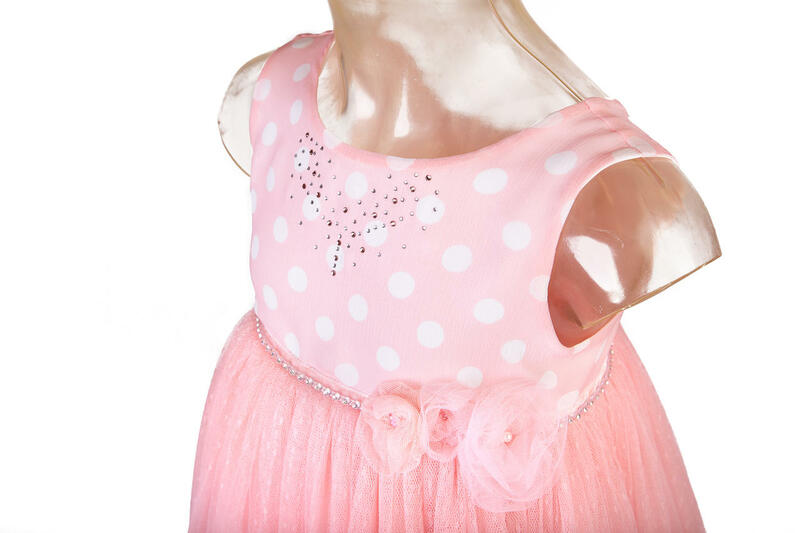 Heaps of soft flowy dotted tulle, which makes the dress sway gently and is ever so delightful to touch! 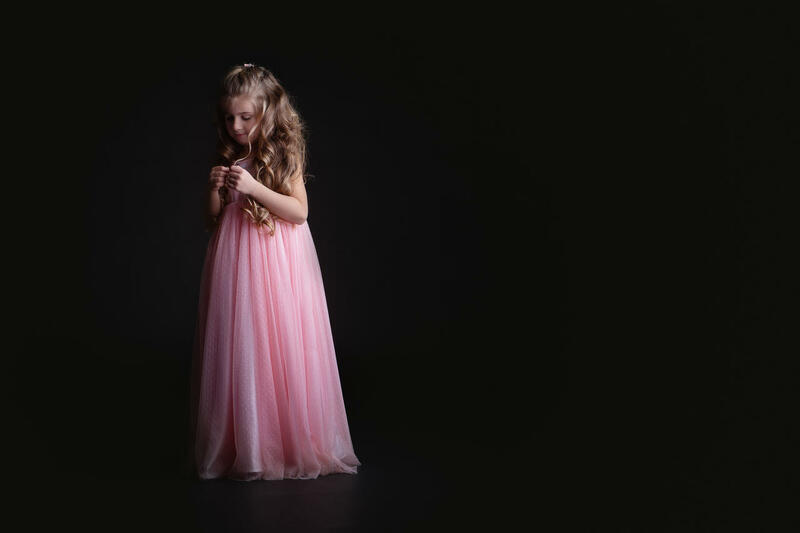 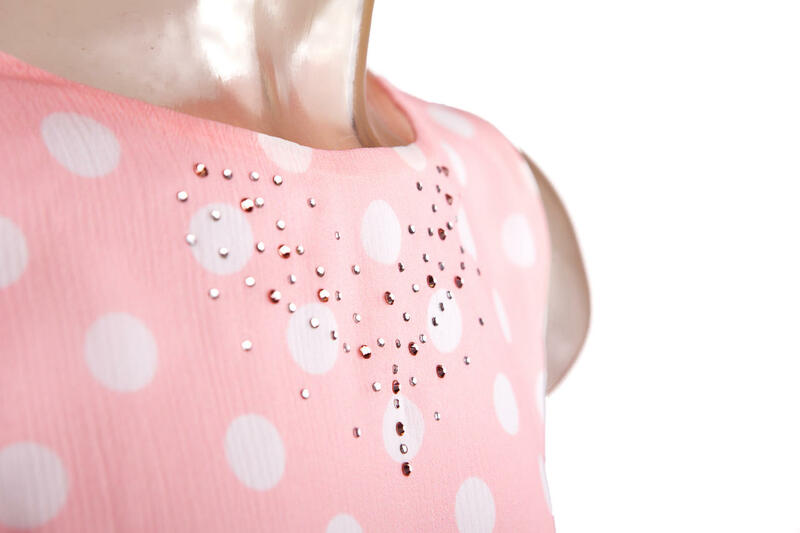 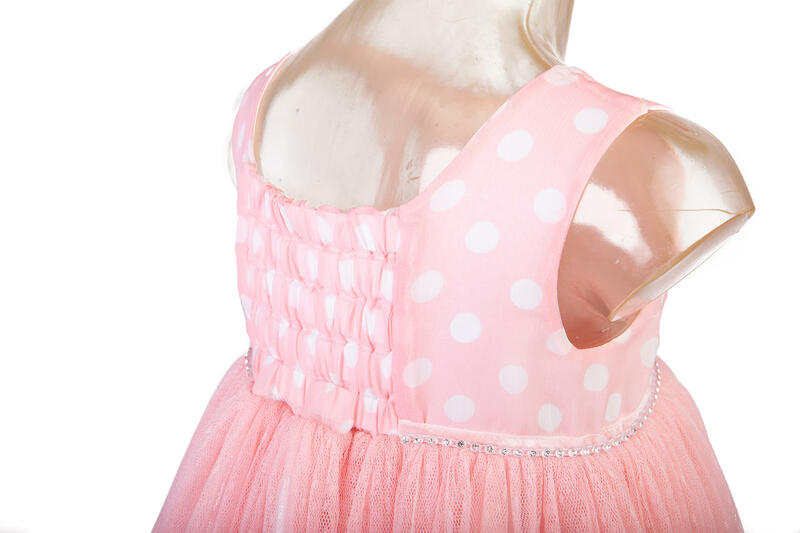 This Robinette is pink with white dots, soft lining and flowy tulle is most suitable for girls with gentle skin as the dress will hug and cuddle them gently. 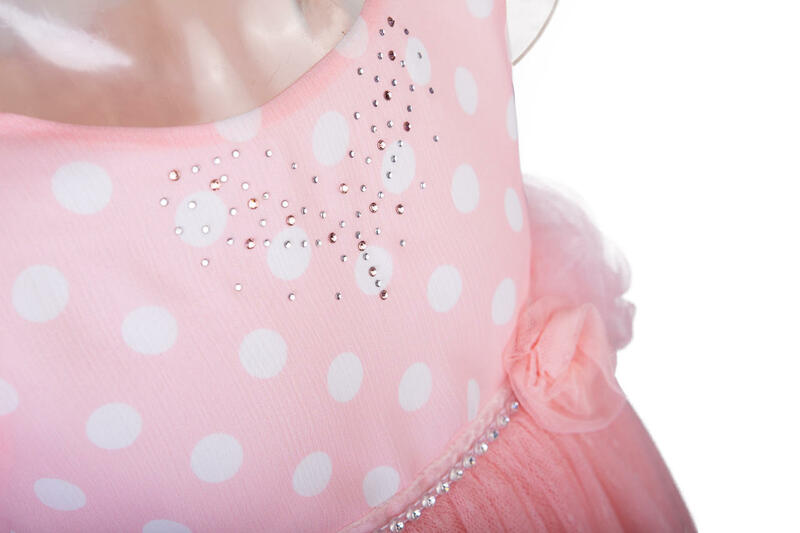 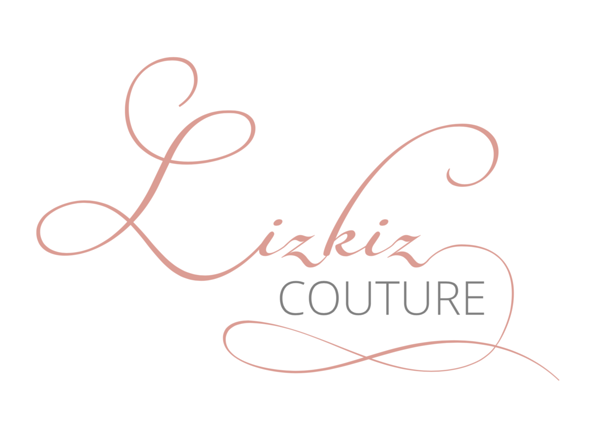 Genuine Swarovski crystals add just enough of luxury and modest sparkle! 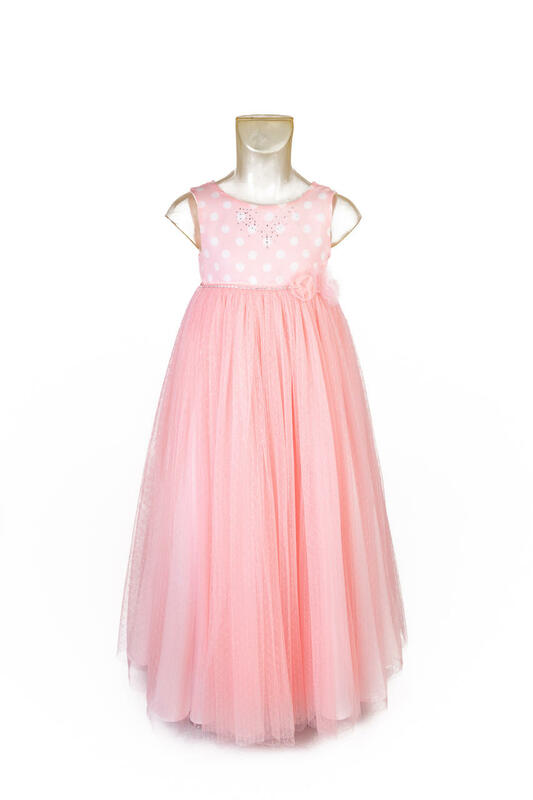 Dress fits best for a 110 – 120 cm tall girl (Height of the model 114 cm) with around 54-56 cm waistline.